Is this the greatest novel in the English language? I first read it back in high school or college, when I read pretty much everything. I doubt that it was assigned reading — it’s about a billion pages long. So I probably spent a chunk of my spare time devouring it one summer. This time around, almost out of the blue, I decided to have my hero Walter Sands read it in the course of Where All the Ladders Start (coming soon to an ebook store near you! ), and I decided I’d better take another look at it myself, to make sure the things I said about it were true. Middlemarch has its moments of rustic humor, but Eliot is never as funny with her rude mechanicals as Dickens is with his working-class folks. And she even doesn’t try to be as funny as Jane Austen when it comes to relations between men and women. That is serious business. There’s a bit of social commentary in the novel. I didn’t recall this from my first reading, but it’s actually a historical novel — written in the 1870s but taking place in the 1830s. So we see the railroad about to make an appearance in the area, for example, and the Reform Bill is in the air. But that material seemed fairly bland to me. Where Eliot is great — and maybe unequaled — is when she deals with love and marriage, and the complexities of serious relationships in a serious world. Dorothea and Casaubon, Dorothea and Will Ladislaw, Rosamond and Lydgate — by the end of the book, we are so deeply inside these characters’ heads that we seem to know them as well as we know ourselves. That’s a pretty impressive achievement. That is to say, I re-read the whole damn thing, which used up a large chunk of my reading time for the year. It was worth it. 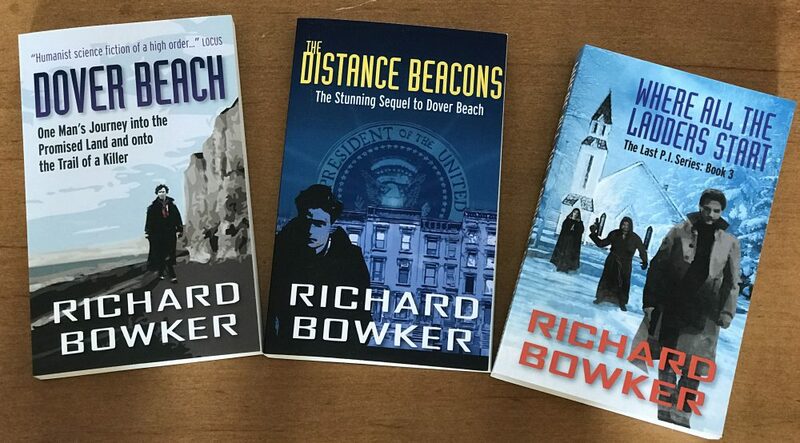 This entry was posted in Rereading and tagged authors, fiction, Middlemarch, novels, reading, writing by Richard Bowker. Bookmark the permalink.